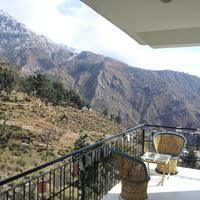 Dharamshala is in the state of Himachal Pradesh, located in the Kangra valley. The incredible beauty and the peaceful environment is a major attraction of a number of tourists from all over the country. It is known as the “Second Winter Capital” of Himachal Pradesh. 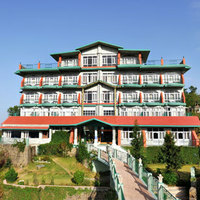 The city is surrounded by dense forests, which makes it a green hill station that tourists love. It is a remarkable place for both Indian and foreigners, mainly due to the presence of Dalai Lama and the strong hold of Tibetian refugees. It is one of the most popular destinations, which gives you a perfect reason to de-stress your mind and body. For the backpackers, student of Buddhism, and adventure seekers, Dharamshala is no doubt a great place visit. are also available in good numbers. 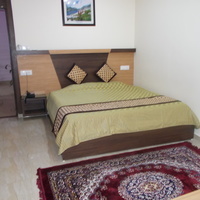 They are neat, well-maintained and offer all the basic amenities for a comfortable stay. Besides this you can also opt for simple home stays. through the online travel portals is easy. 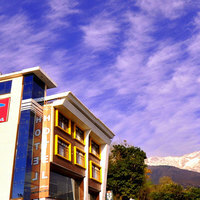 You can choose locations like Mall Road, Lower Dhamashala, and Mcleodganj Mall. Season: During the summer and winter holidays, it becomes difficult to find rooms for accommodation in this city. Hence, advance booking is highly recommended. Budget: You can take a look at the price filter on Cleartrip to book your hotel according to your budget. At the same time, it is vital to pay attention to the reviews. 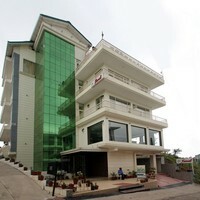 Luxury: Having a luxurious accommodation for your stay would give you the best leisure moments that you desire. 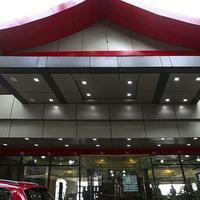 Luxury hotels have facilities like gym, spa, swimming pool, bars, and lots more. 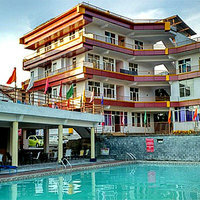 Hotels Near Dalai Lama Temple: You will find many hotels in this area. 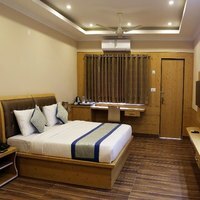 Booking your hotels near this famous tourist and holy destination will give you a glimpse of Buddhism. 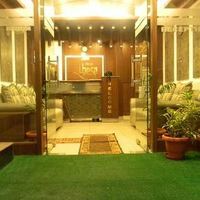 Bhagsunag: This is a perfect place to book a hotel as Bhagsunag Waterfall is just around this area. 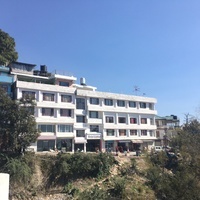 Hotels near Main Square Market: This is one of the most famous markets of this place, therefore booking your accommodation here would be advantageous. 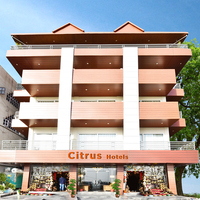 Approximately 156 hotels are available in the city, and it would always be advantageous to have your hotels booked in advance from Cleartrip. 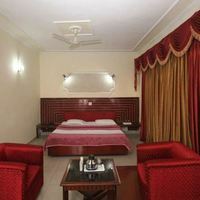 The price per room (2 guests) begins from 1,303 INR to 15,360 INR. Flight is a convenient option for tourist who comes from far-off parts of India. Gaggal is the nearest airport which connects to Dharamshala, and is about 13 km away from the city. 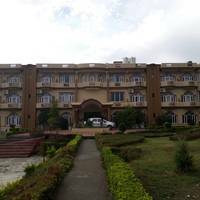 Train is also a better option, as there are many trains to Pathankot, which has is the nearest railway station to Dharamshala, located at a distance of 86kms. The city is well connected to Delhi and the other parts of North India by road. You can take state operated buses. Private buses by tour operators are also available. The option of driving in your own car is always there. Tibet Kitchen: Jogiwara Road, House# 1, Mcleod Ganj, Dharamshala. Common Ground Cafe: Swarg Ashram Road, Dharamshala. 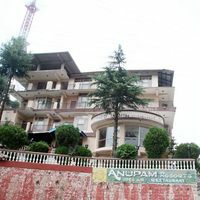 Nick’s Italian Kitchen: Kunga guest house, bhagsu Road, dharamshala. 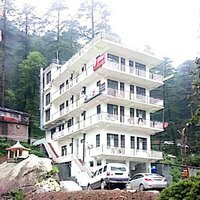 Trek and Dine: Dharamkot, Dharamshala, Mcleod Ganj, 176 219. Illiterate: Lower Jogibara Road, White building next to motorcycle repair shop. 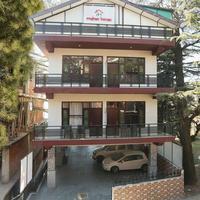 Morgan’s Place: Dharamkot village, Near tushita Meditation centre. Dharamshala Cricket Stadium: The cricket stadium is a great place to spend some time. Tea gardens: Known for the good quality of tea which is widely available here. Dal Lake and Nadi: The Lake lies between the hills and the deodar trees. St. John in the Wilderness Church: As it is built in the dense woods, that is why it is given the name “St. John in the Wilderness”. War Memorial: This memorial was built in the memory of those who fought for our motherland. Gyuto Monastery: It is a monastery of great significance. 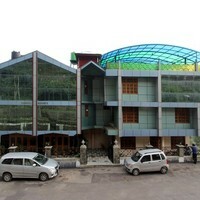 Culture: Dharamshala is a cultural city that has many cultures. The lifestyle of the natives is simple and they live away from the hustle and bustle of metro cities. Different forms of dances according to the religion background of the people are also followed here. Market: The markets and the shops in the city offer an interesting range of items to buy. Wooden carvings and handicrafts are the specialties of the city, and one must buy a few of them. Popular markets like the Kotwaali Bazaar are famous for exotic sculptures. 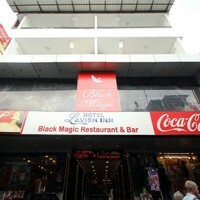 The Jogiwara Road and the McLeod Ganj Central Square are some other famous shopping spots. Food: It is a great place where many different cuisines are found. Some of the famous dishes like steamed mutton momos, grilled chicken, carrot cake, zucchini vegetables are its specialty. 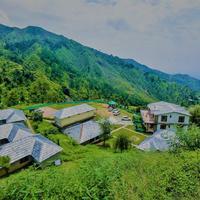 Palampur: it is 35 km from Dharamshala and known for tea gardens and romantic weather. Bir: This paragliding destination is 65 km away. Khajjiar: This beautiful mini switzerland is 118 km away from Dharamshala. Shimla: It is 238 km from Dharamshala and has beautiful view of nature. Chandigarh: It is India’s first planned city which is just 240 km away from Dharamshala. Amritsar: The holiest hub for the Sikhs, which is just 200 km away. Manali: It is 237 km from Dharamshala and is famous for its snow. 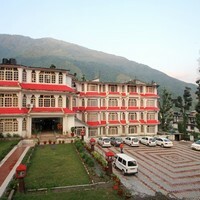 Dharamshala’s climate is humid and sub-tropical influenced by the monsoons. The average annual temperature of the city is 19 degree Celsius. The summer temperature rises up to 38 degree, whereas the city faces extreme cold in the winter. The temperature gradually drops up to -1 degree Celsius, sometimes even below. November is the driest month and most of the rainfall is in August with an average of 895 mm. You can even witness snowfall in upper Dharamshala. The temperature is quite pleasant in the hills. Ideal for sightseeing and for adventurous activities. Winters at this time are freezing. Tourists mainly come to enjoy the cold and the snow. Haldi Festival: It is a two day fair which marks the beginning of the season of festivals in the city. People are found making bonfires of ciders and twigs during this time. Dal Fair: It is in the month of August or September when the city is in the mood to celebrate the fair, in the banks of the Dal bank. Devotees take holy dip during the festival.